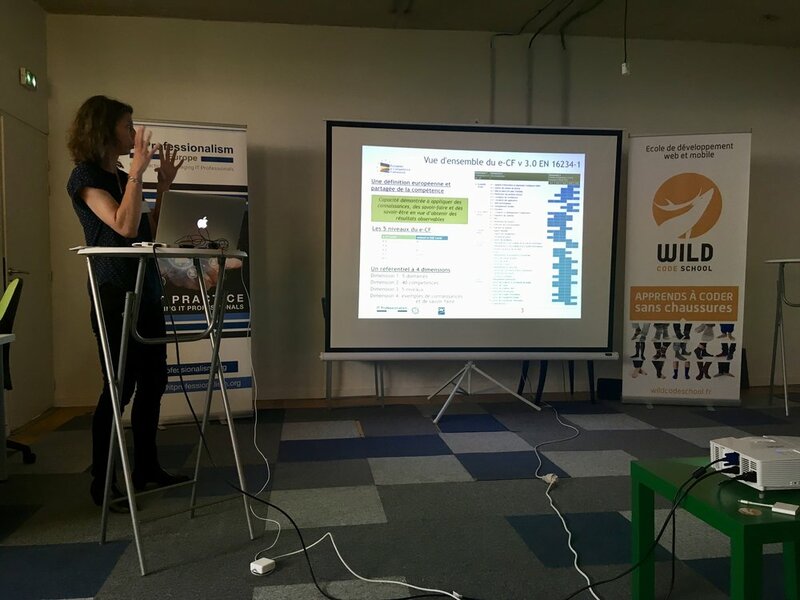 ITPE co-organised a briefing on the e-Competence Framework with Wild Code School in Paris at on the 31 May. 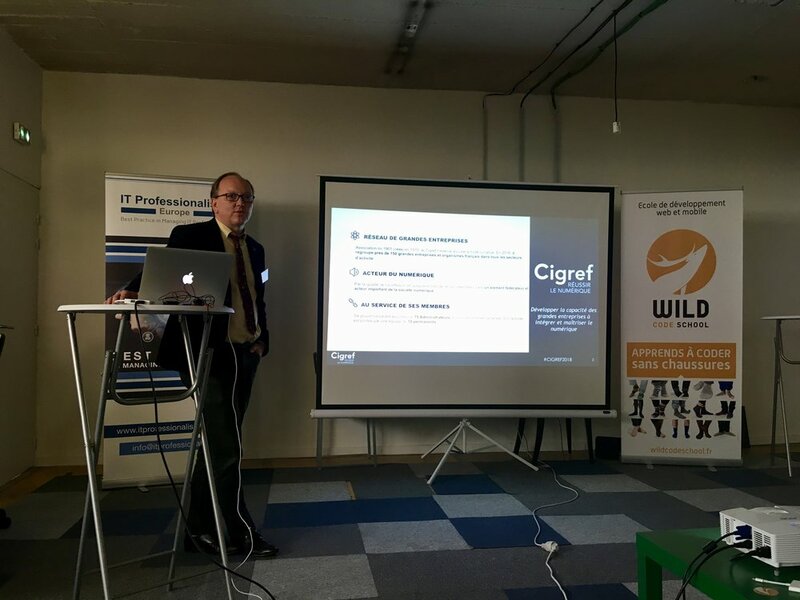 The event, which took place in central Paris, brought together stakeholders in IT professionalism to hear a range of speakers. Participants in the event had the opportunity to see presentations from Austeja Trinkunaite, Secretary General of CEPIS and representative of ITPE, Jutta Breyer, Project Leader of e-CF and ICT professional Profiles, André Richier, "Politiques, Analyses & Conseil", DG Grow of the European Commission, Sébastien Sigiscar, Sector Unit Manager, AFPA Engineering Department, Samia Gholzane, Director of Grande Ecole du Numérique, Frédéric Lau, Mission Director from CIGREF, and Anna Stépanoff, CEO of Wild Code School. The presentations were followed by group discussions on the following topics: “Does a European / global competence framework make sense? Is it feasible?”, “How to ensure agility of competence frameworks?”, “Which competence framework to use for recruitement?”. Video interviews with the speakers will be released shortly on this site.